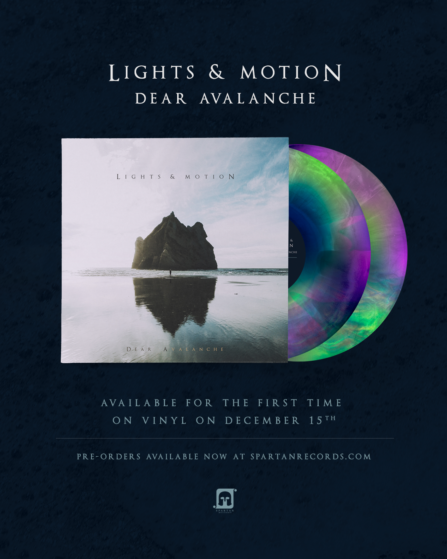 Lights & Motion´s latest album Dear Avalanche is getting a vinyl release! Coming December 15th, this Double LP will be limited to 500, with two stunning starburst variants (250 each). My latest release is a brand new interpretation of my song We Only Have Forever from my latest album Dear Avalanche, slowed down considerably and re-recorded with piano and strings. I call this new version ”(Quiet)”. Since that song was one of the most upbeat and energetic tracks from DA, I wanted to challenge myself and see if I could turn it on its head and create something that was very small and intimate. It turns out that this was something I really enjoyed doing, and something I might consider doing again in the future with another song. I think it goes to show how amazingly flexible music really is; the same exact notes in the same exact order can be perceived in such wildly different ways, depending on tempo, arrangement and how you present it. I hope you´ll enjoy this new presentation of this song! Oh, this single release also comes with the song ”Aural”, which I wrote for 2017´s piano day. I hadn’t planned on releasing it anywhere, but due to some very encouraging people that wrote me on social media (which I always love!!) asking for it to be put out on Spotify, I decided to include it after all. Thanks for the constant support!! Yesterday was the annual Piano Day, and to celebrate it I sat down and wrote a brand new piece of music. 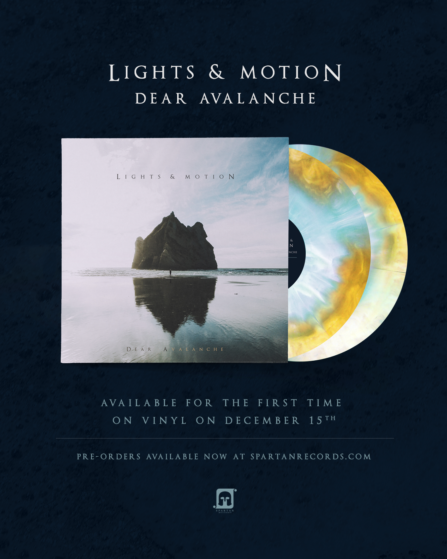 Lights & Motion just premiered a video for their song ”As They Sleep”, taken from the latest album Dear Avalanche. The video was directed by the UK based We The Conspirators. 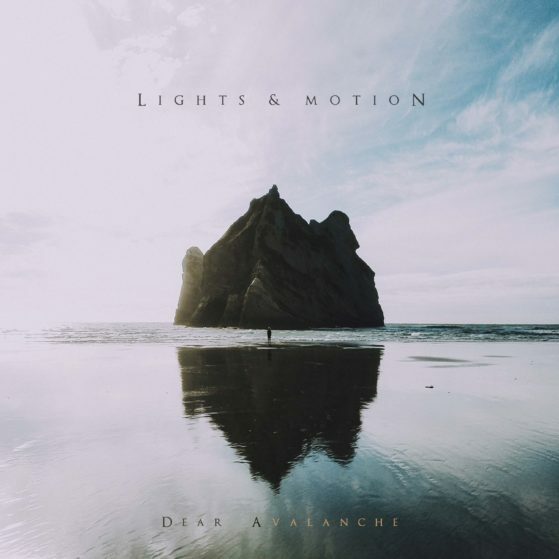 If you have been watching TV these past couple of weeks, then theres is a big chance that you might have heard several songs from the latest Lights & Motion album Dear Avalanche (Spotify) appearing on the popular television series The Vampire Diaries. ”This Explosion Within”, the opening track from the new album, appeared on the 14th episode (It´s Been a Hell Of a Ride) in the shows 8th and final season. The next episode, (We´re Planning a June Wedding), saw both songs ”Silver Lining” & ”Perfect Symmetry” being prominently featured in one of the shows more emotional hours of television. 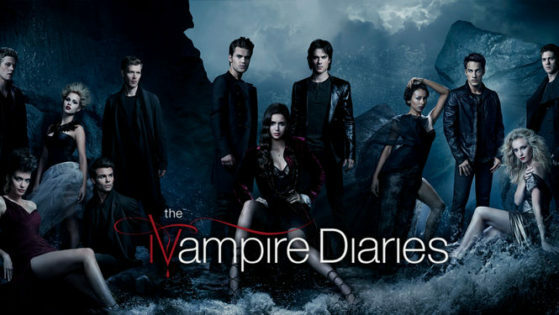 This isn’t the first time songs from Lights & Motion have been used in the series; Both ”Glow” and ”Fireflies” from the bands third album Chronicle have appeared in earlier seasons of The Vampire Diaries. ”Perfect Symmetry” was the last piece of music I wrote for Dear Avalanche (Spotify). I thought it would be appropriate to write about how I made it, since I did just that for the first song that was created for the album (read it here), as a way to bookend the entire record. This song, and how it came to be, was somewhat unusual. The album was technically already finished after 2 years of hard work, and had been sent off to Los Angeles to be mastered. For some reason I always get a surge of creative energy once I am done with a project, and that has been the same for every album that I have wrapped up. Perhaps it is the pressure that has left you, I´m not sure. I had just watched Captain Fantastic in one of my first nights off in a very long time, and I got so inspired from seeing that movie that I went to my studio very late at night, because I felt like I had something to ”get out”. I have learned that if you can capitalise on those occasions when you get that feeling, it often leads to something good. Anyway, the first thing I wrote wasn’t a melody, or even a chord progression (which is the most common way of starting any song or piece of music), but instead I just began painting this very ethereal and floating soundscape consisting of different sounds and textures. I didn’t really use any bass-notes or anything in the lower range, because I didn’t want to ”tie it down”, but rather let it stay shimmering above ground, if we can play with that metaphor. It was a very abstract expression, and I still wasn’t sure where I was going with it. After spending a good deal of time filling this canvas with atmospheres and different brushstrokes of sound, I recorded electric bass on it, to serve as the foundation of the song. I felt like I wanted it to be even more experimental, so what I did was that I took that entire piece of music that I had written, and exported it, brought it back up and reversed the entire thing, so that all of the sounds now was playing backwards. That is why, if you listen, the bass has this sucking motion to it, and sort of moves unexpectedly. This is what became the final part of the song, and the climactic peak. Now that I had my foundation, I recorded some vocal harmonies, which I also processed to play backwards, and for me that created a sense of otherworldly expression, since there is this human element in the song that sounds like nothing you would expect anyone to sing. I also took a choir recording and ran it through a distorted guitar amp, and this became the main ascending melody you hear, alongside the strings that moves in a counter harmony (where one goes up, the other goes down), giving it some nice movement. I played a soft piano at the very end, in order to help the song wind down and land gently. At this point I felt very happy with how it all came together, but I needed to put it into a context. It felt like the crescendo of a song, but so far I only had the last bit and I was missing the first half. So I sat down at the piano and started playing this very fast arpeggiated melody that counters the chord-progression underneath, in that each time to chord moves up, the melody moves down in the scale, and vice versa. So it almost becomes this little dance. To help give the piano a framing and an identity or DNA that related to the finale of the song, I used some of the same sonic brushstrokes and textures ”behind” the piano, but in a lower octave. There is also a sub-bass synth that enters during the second variation, and I really like to play with the height/depth sensation of a section by introducing either higher, or as in this case, lower elements to give it some dynamics. There is also a string quartet that enters halfway through, and in this case you can hear a solo-viola moving in and out in this swirling motion, sort of mirroring and assisting the piano melody, whilst the violins help with building some momentum in the higher register. Most of the arrangement is acoustic at this point, and I wanted a rhythmic element that would just help propel the song forward. I have a nice wooden panel in one of the corners of the studio, so what I did was put up a microphone and recorded myself stomping my foot in the floor a couple of times, and then once when I dropped my keys to capture some high-frequencies, and then I processed that and made it sound very lo-fi, like an old recording, and placed this low in the mix. At this point I had my start and my stop, and both of these parts where pretty energetic in their own rights, so I felt like I wanted to bring it down in the middle to create a sense of breath and calm – to let the contrast make both sections speak louder in a way. The interlude is very soft and enveloping, and I almost wanted it to feel like the song was ”hugging” you at this point. This I did with very warm synths and some processed strings – and even though you might think that there are only a few elements in this section, there is a ton of smaller sounds bouncing around the soundstage, peaking forward ever so quietly, to then disappear again. I really enjoy creating those eastereggs of sound, because I think that they really help with making it feel expansive and deep, like you are standing and looking out across a vast world. Anyway, this is how I like to view things when I write, and it helps me to navigate in what direction I should go – Everything has a very visual component in my mind, and I often ”see” the music as much as I hear it. Something you don’t really notice in the song is that it changes tempo quite drastically throughout. The first half is at another tempo then the second, and I think it adds to the sense of movement and free-flow of the entire piece. The whole song was basically built on experimentation, and daring to feel free in your expression. At times it is easy to feel the constraints of how you think music should be made, and moments like this really helps with the realisation that it´s all made up, and that there are no rules. I named the song ”Perfect Symmetry” because even though it goes through several widely different stages and sections, there is a symmetric feel in the DNA of the song, and how it feels to me. Perfect Symmetry doesn’t necessarily have to mean that it´s exactly thew same, but rather that it is mirrored in it´s differences. As I said in the beginning, the album was already finished at this point, but I felt like this song represented where I was at that particular moment, and we decided to do a recall and include it in the album, and I´m very happy we did. Thank you for reading about my process, and an even bigger thank you for letting me share my music with you! ”This Explosion Within” is the opening song of my new album ”Dear Avalanche” (Spotify), and it was one of the first pieces of music I wrote for it. On every album there needs to be one or two songs that act as the bedrock on which the entire album is built, and that was just what this track felt like to me. Some songs come quickly and you finish them in a matter of weeks, and then there are the ones that you work on for months or even years, as it was in this case. I got the main idea for the song one day when I was sitting at the piano, but back then I thought it would be a really slow and intimate piece of music, where the piano would carry the melody. In this case though, I decided to track drums over this bare piano recording, to see what kind of movement that would create, and by doing so I drastically changed the direction of the piece. I started recording a lot of electric guitar overdubs to try and give the song a somewhat gritty feel, because when you combine that with a more ”pristine” sound, you get this (in my opinion) interesting and beautiful contrast. By this point I felt like the song needed another human element, so I took the main melody that the piano was playing, and I recorded myself singing it multiple times, in order to create this big vocal harmony. This is something that I often times do in my songs, to elevate a certain moment or to try and give the impression of something taking off. However, I was feeling that the melody didn’t sound the way I heard it in my head when it was just me, and so I decided to record a bunch of people to help bring it to life and make it really sound big. It´s the same principle that applies to strings – one solo violin can sound really shrill and bright, but when you combine the entire string section of the orchestra you get this big lush sound because everybody is a little bit out of tune with each other, everyone is starting the phrase in slightly different times, and so the imperfections really come together and bring out the beauty of the instrument. The sum is greater then its parts. I reached out to 10 people that I knew, and they were kind enough to come over to my studio so I could record them singing this melody together, and for everyone I added I felt it getting closer and closer to what I wanted to achieve. Some sang really beautifully and with harmonies, other I asked to more or less not worry so much about hitting the right pitch, but more bring an energy and a ”liveliness” to it. The combination of all these people singing together turned out so great, and I am so grateful that they were kind enough to lend me their time and talents. After this I didn’t work on the song for the better part of the year, because I felt like I was missing one final piece of the puzzle, but I couldn’t quite figure out what it was. Then last fall I brought the song back up again and I wrote this string-arrangement that would act like a harmonic friend to the choir, and I think that gave it the final cinematic push that I was looking for. It felt like the appropriate song to open the album, because of the community it represented to me with having so many of my friends sing on it. Other instruments featured in the song are acoustic guitar, tambourine (I really love adding handheld percussion to a mix), a lot of synths that are sort of buried in the back of the production, a pumporgan and a lot of bells/twinkling little eastereggs. My favourite part of writing usually is the last 5-10%, when the song is basically done and all of the main elements have been recorded and mixed, where I can just spend days sprinkling what I like to call ”Sonic Fairydust” across the song – basically ear candy that you might not recognise the first time you hear it, or even in the first ten, but then all of the sudden you might discover a new little sound moving across the soundstage that you hadn’t realised was there before. So thank you so much for letting me share my music with you – it means the world! 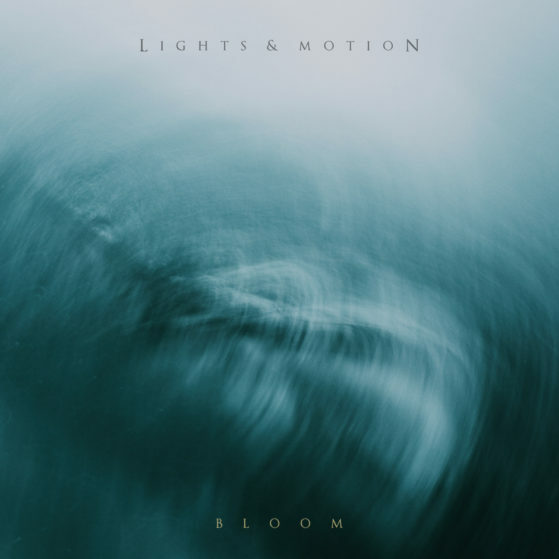 After two years of work the new Lights & Motion album has finally been released into the world! Dear Avalanche consists of 14 songs, and was released on American independent label Deep Elm Records, January 20th, 2017. It is now available worldwide digitally.